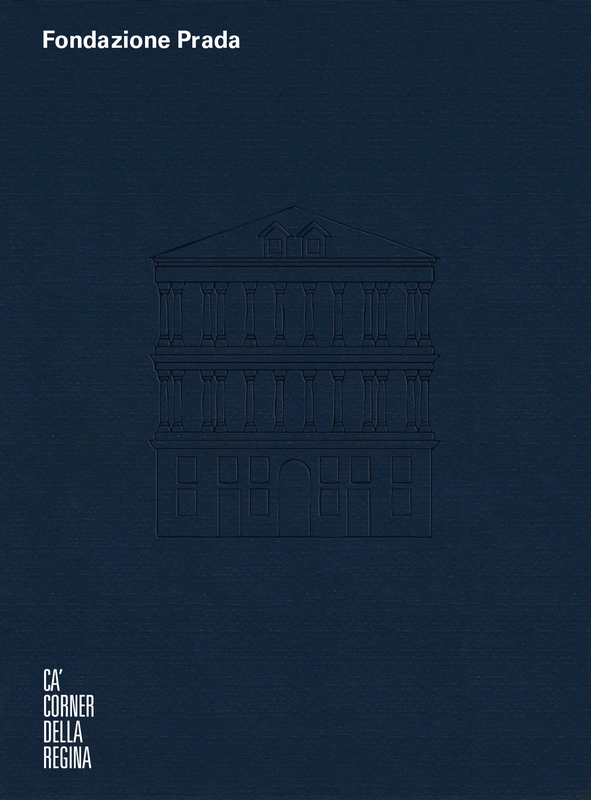 Preface by Miuccia Prada and Patrizio Bertelli; introductory text by Germano Celant; interviews by Germano Celant with Miuccia Prada and Patrizio Bertelli, Thomas Demand, Jeff Koons, Rem Koolhaas; critical texts by Martina Frank, Silvia Serafini, Stefano Provinciali, Nicholas Cullinan, Marco Giusti, Lydia Liackhova, Dominic van den Boogerd, Michelle Walton; chronology by Chiara Costa; notes on the Fondazione Prada by Mario Mainetti and Carlo Barbatti. Graphic design by 2x4, Yoonjai Choi, Liliana Palau Balada, Michael Rock; production editor Martine Buysschaert&Francesca Malerba. English edition with Italian translations. Format 21 x 28 cm, softback with jacket flaps, pp. 400, 444 ill.